pfft...fft...BWAHAHAHAHAHA!!! LMFAO! FUNNY AS HELL! I hate the pairing with a passion, but this is hilarious. It took me a while to notice Gaara, then I burst into laughter. Nice work! Lol this is great. *faves* Nice colouring. 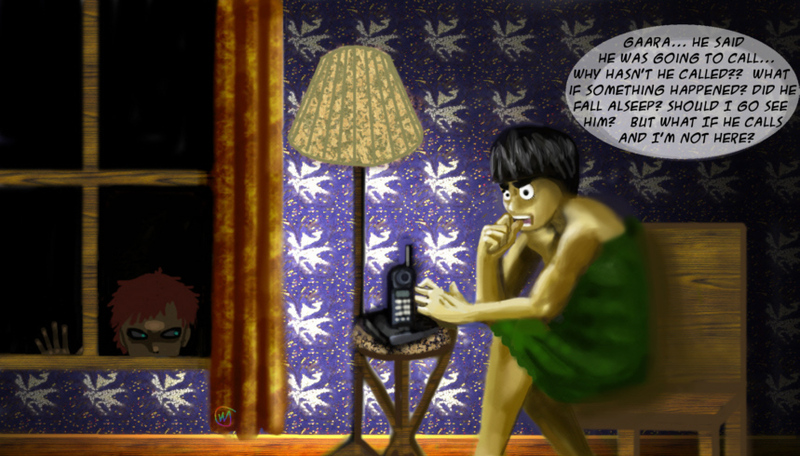 Don't worry Lee, Gaara is closer than you think! That is really funny, Gaara can be so creepy sometimes, and Lee's face is priceless!